A luxurious pocket mattress with a system of 1,000 micro-springs from German manufacturer AGRO. The number of springs on the sleeping area of a single bed means that the mattress perfectly copies the body, provides maximum support to the spine and is outstandingly airy. The combination of exclusive materials used will provide you with a feeling of perfection. A combination of Swiss EvoPoreHRC and AventO2 foams and high-density viscoelastic MINDFOAM pre-determines this mattress for the rest you have been dreaming of. 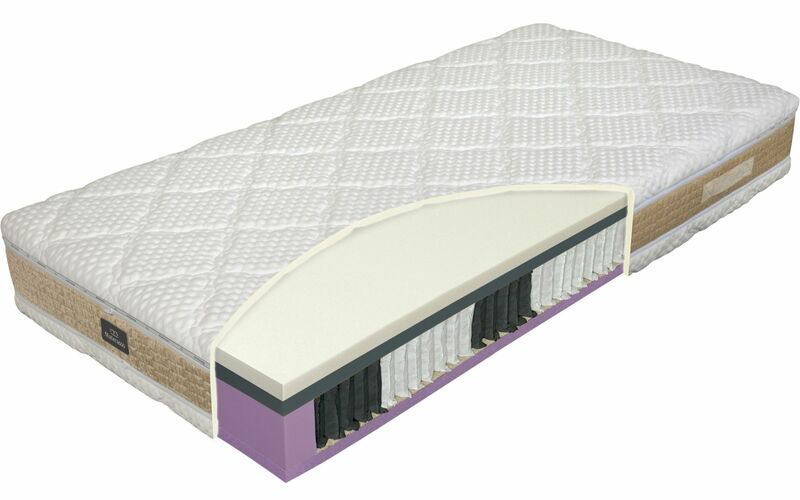 The exclusive nature of the mattress culminates in the SILKTOUCH cover, padded on one side with viscoelastic foam and by PES fibre on the other. GOLDTOUCH fabric is stitched into the sides of the removable, washable cover and is provided with two functional zippers. This gold fabric cannot be washed. There are four straps on the sides of the mattress to make it easier to handle. The 8-year warranty provides a suitable guarantee of the quality of this product.